For two days, on Saturday April 27th and Sunday April 28th from 9:30 am to 5:30 pm, holistic life coach and Bach Flower Remedy leading expert Alicia Sirkin, BFRP, will be presenting the International Level 1 Introductory Course on Dr. Bach’s 38 flower remedies — a simple system of healing –in a beautiful resort-setting located in South Coconut Grove, FL. Address to be disclosed upon pre-registration. This seminar introduces you to the basic principles of the safe, effective mind-balancing benefits of the Bach Flower Remedies. Dr. Edward Bach introduced the flower remedies eighty years ago. Since then they have grown in popularity and are used in over 66 countries worldwide. You will learn detailed information about each of the 38 remedies through case histories, practical examples and exercises to help you integrate the system into your daily life and work. Enjoy this wonderful opportunity to embrace the knowledge and advantages of using this self -help system whether you are new to holistic healing or are a seasoned health care professional. Each student receives a Certificate of Level 1 completion, which is a prerequisite for BIEP Level 2 and Level 3 Practitioner Training. Bach Flower Education is an approved CE/PDA provider for: NCCAOM, NCBTMB, ANMCB, RAIVE. Courses are approved by the Dr. Edward Bach Foundation, UK. Alicia Sirkin, BFRP, is a leading expert in the field of Bach Flower Remedy therapy, internationally published author, researcher and speaker. 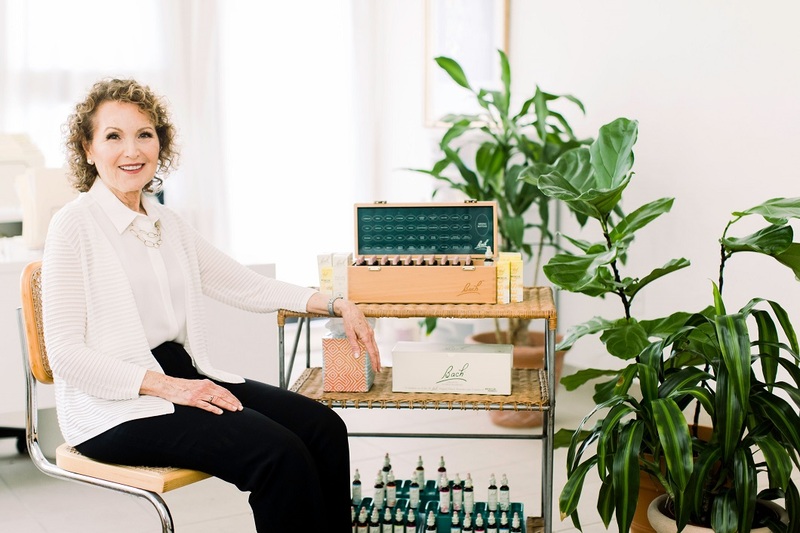 Interviewed by magazines such as Fitness, Spa and Massage, Alicia assists in the effective use of Bach Flower Remedies to improve a person’s positive outlook throughout all aspects of life, and has passionately taught this course for 19 years. There are only 11 seats available – so book your spot now with Alicia to assure your place in class to learn how to benefit from this life-changing system! For details about the event, contact Alicia Sirkin by calling 305-666-5958, or email info@sirkincreativeliving.com. If you’re looking for a way to release worries or improve your self-confidence and personal well-being, you can benefit from this holistic system that helps relieve unwanted states of mind, increases positivity, and aids in stress management. And if you find overall health and wellness or healing practices like yoga, meditation, massage, acupuncture, and fitness to be invigorating and restorative, this course is for you!